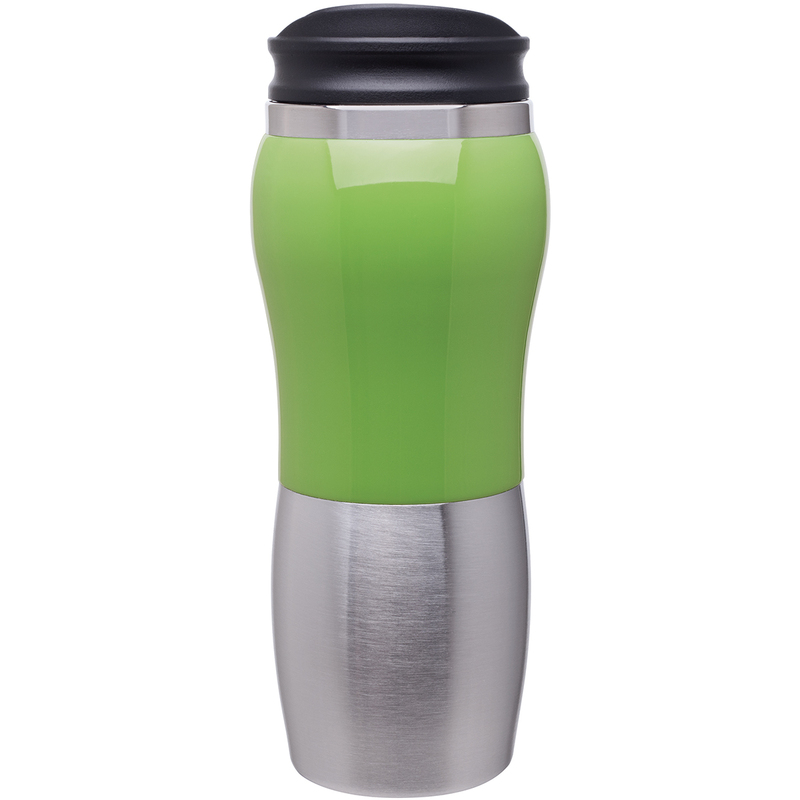 14 oz 2-tone acrylic 18/8 stainless steel tumbler, foam insulated, with push-on swivel lid. Hand wash recommended. Imprint Area: 2.75" x 1.22"